Y’all know that Kyle and I are not much for credit card sign-up bonuses – we’re more about the long-term rewards or perks. I do keep an eye out for high sign-up bonuses by following some credit card churning blogs, but usually the minimum spend requirements are out of the range of our normal spending. (That is, until we realized that we can now put rent on a credit card, but that has its own set of issues). Many of our bills come directly from checking and most of our grocery spending is at Costco, where we can’t use these types of credit cards. So just month to month we don’t put more than a few hundred dollars on credit cards, and then occasionally we spend a bunch of money out of our targeted savings accounts, such as for travel. We were thinking we wouldn’t sign up for a new credit card for a sign-up bonus until we were about to book a vacation – we thought that, until we saw the Barclaycard Arrival World MasterCard. I did have to verify that we would be able to put $1,000 on this card over these particular next three months (starting in mid-September when I found out about this offer). I encourage you to do this as well if you are a lower spender. I mapped out the parts of our budget that we could switch to using this credit card for (Kyle’s cell, internet, water, non-Costco groceries, non-Costco gas, restaurants) as well as the big expenses we have coming out of our targeted savings accounts over that time period (dental checkup, 6 months of car insurance). I was positive that we would spend $1,250 and potentially up to around $2,000. For us, and probably for most people who use credit cards, this $1,000 over three months minimum spending is safely reachable, so the World Arrival card is a great one to add to your rewards card mix, even if you’re not a hard-core churner. And what exactly is the bonus that we will get? 2) You’re earning 2 miles for every $1 you spend, so that’s 2,000 more miles just from the minimum spend. 3) If you apply your miles as a statement credit for qualifying travel from the last three months, you get another 10% back. That means that if you apply your miles as statement credits for qualifying travel, you can get $462 in rewards out of just the $1,000 minimum spend! 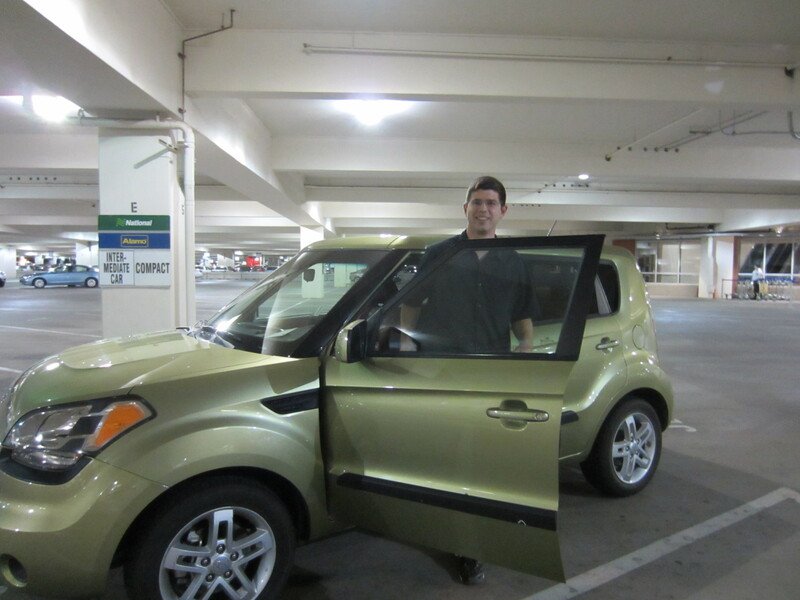 Kyle with our rental car in Phoenix, AZ – a qualifying travel expense! I haven’t thought much yet about how we’ll use the bonus. I doubt we’ll take an extra trip – we’re way overdue for a summer vacation already. I’m sure we’ll do some traveling between now and next September to celebrate Kyle’s graduation. So we’ll be able to free up the $450 or so to add to a fun targeted savings account – the frontrunner right now being our DSLR fund! I’m sharing this post because 1) I’m personally excited about this bonus showing up in our account soon and 2) I really think this is an unusual offer that lower-spenders like us can take advantage of (or higher spenders, of course – it’s still a good option). If you decide to sign up for this card, please consider using one of the links in the post or banners below to do so. It’s the same deal for you and EPF will receive an affiliate commission – in fact, I signed up for my card using another blogger’s affiliate link to give him/her that commission. But please only sign up if you are in the habit of paying off your credit cards every month. You’ll notice I haven’t mentioned the APR on this card at all, and that’s because it doesn’t matter if you never pay interest. Don’t sign up if you think there is a possibility you will get into credit card debt. If you use rewards credit cards, are you swayed most by sign-up bonuses or long-term rewards potential? Can you typically reach the minimum spends on cards with big sign-up bonuses? 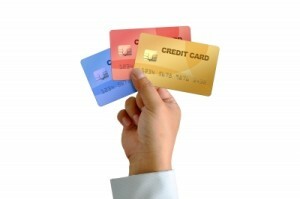 Do you know of any other great credit card deals being offered right now? 39 Responses to "Awesome Sign-Up Bonus Ratio with Barclaycard Arrival World MasterCard"
Wow, that’s a good deal! I was just actually writing a post about switching to a new rewards card isn’t worth for me. Maybe I need to look at travel cards like this one. I wonder if my commuting train would be a “qualified expense”. Also, I’m jealous that you can put rent on your credit card. That’s awesome. I like this one because the rewards are maximized through travel but you don’t have to fuss with any booking nonsense – you just apply the statement credit after the fact and it offsets the previous cost. We normally stick with cashback cards but this one seems like a good hybrid, perfect for our lifestyle. Maybe you could call the company before signing up to see if that train would qualify? I’m not sure they’d be able to answer but it’s worth a shot. We both churned that one! It’s easy for us to spend $1,000 in ONE MONTH because we put our monthly groceries on there ($500) and currently our health insurance ($377). That’s awesome that you knew you could meet the minimum spend so easily. If only were weren’t shopping at Costco so much, our food budget would make it pretty easy, too! This is a good card. I reviewed it earlier this month and I think it is becoming quite popular. I don’t know how long the sign up bonus will last, but we will see. Did you sign up for it yourself? The deal does seem so good I’m not sure how long it will last. I’m glad it came up right when we were considering another card, anyway. That’s a pretty sweet deal on the rewards. We may look into it after we’re done churning the Starwood Amex that Holly told us about. The rub is that I’m not sure we’ll have qualified travel expenses or not. It’s still a good deal if you just take the cash without applying it to travel, but not as show-stopping. If you’re into churning and there’s nothing better on the horizon, why not? We actually do a decent amount of traveling just to visit my in-laws, so this is probably worth looking into a little further. Nice overview. This is a super late comment, but I just traveled to Canada recently, and am thrilled that I do not have any foreign transaction fees to pay later. It’s really a great card! That’s great to hear! We picked up a card a couple years ago just to avoid foreign transaction fees – it’s a big perk. I was looking into applying for the Barclaycard Arrival World MC for days. I was trying to research if using the card to pay certain bills could qualify for the bonus. I read your article and you mentioned that to meet the spending requirement you planned to use it to pay for things like the cell phone bill and car insurance. So I decided to pull the trigger and applied (through your link). I got approved! It’s a small credit limit, but I’m not too concerned about that. I was just curious to know if you ended up using your Barclaycard to pay for car insurance, cell phone, internet? I’m planning to use it to pay for my car insurance, cell phone, cable, fitness classes, but I’m not sure if these things could qualify to earn the bonus miles. Thanks so much for using my affiliate link and for reading my review! I’m confident that all spending you do on the Arrival World card will count toward earning the bonus. We used our cards for our cell phone bills, car insurance, water bills, gas, DMV, restaurants, internet bills, dentist, donations… all that normal stuff. We got the bonuses as soon as we reached $1,000 in spending on each card so it doesn’t seem anything was excluded. I’m sure you’ll easily reach the minimum spend level and I hope you enjoy your bonus! Got the card in less than a minute! Presently surprised about the 0% APR for 12 months…that will allow me to stop nagging my husband about his company expense reports so often. Haha, yeah I don’t pay attention to the interest rate at all but that’s good to know. Glad you got such a quick response! I finally redeemed my travel points! I got $390 dollars back. I thought that I was going to miss out because although I hit the minimum spend in the first 3 months, I decided not to purchase any qualifying travel during that time period due to having only part-time employment. I have hardly used the card since the first 3 months/reaching the minimum spend. Then I purchased a $390 plane ticket during month 5, and I was still able to get the full value reimbursed. I was so excited! I’m not sure — did you know that it worked that way already. I find the language around this stuff a bit unclear, and I thought that I had to make a travel purchase during the first 3 months as well. Yes, it is supposed to work that way. I’m sorry I didn’t explain it better! 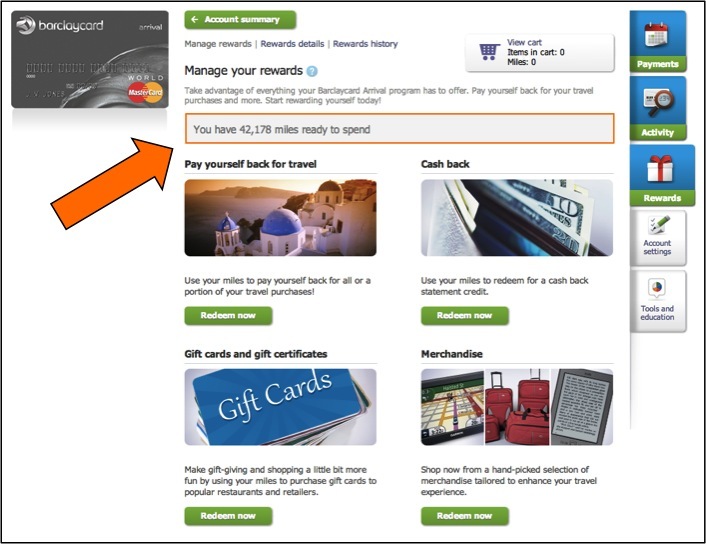 All of your purchases count toward the minimum spend and then you get the max points by redeeming for travel. It’s just that the most efficient way to use the card, if you have another card you also like a lot or another minimum spend you’re working on, is to use the travel expenditure that you want to redeem against as part of the minimum spend. But the way you did it is what we’re doing too, since we didn’t have any travel to book in the first 3 months.